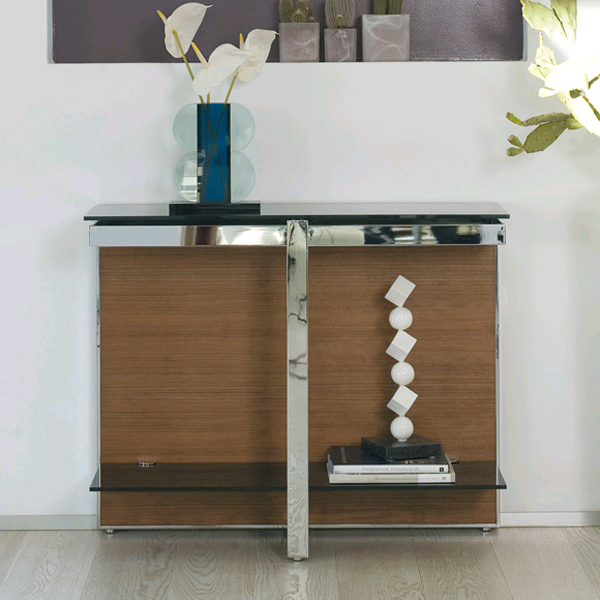 Beautiful contemporary console table with a chromed steel frame and painted glass top and shelf. 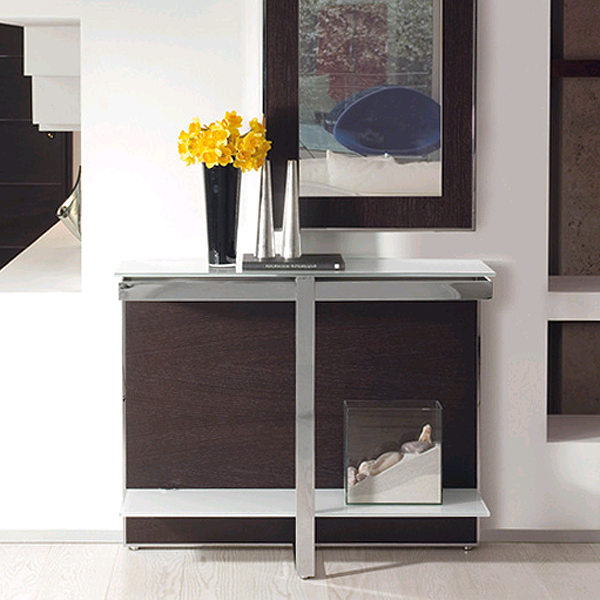 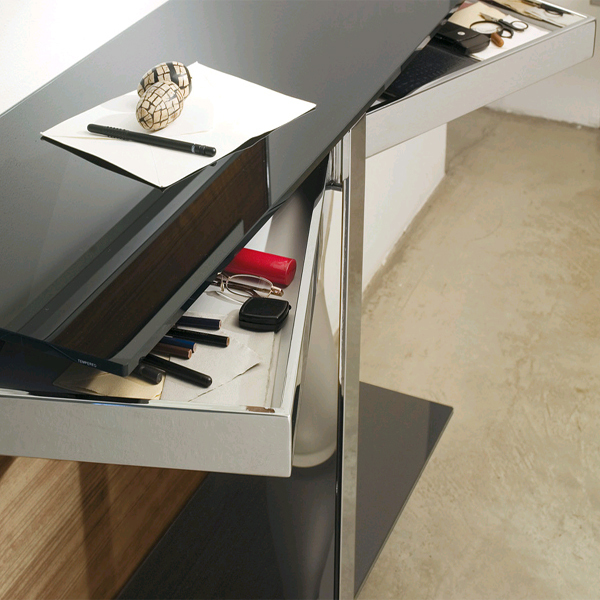 2 swivelling drawers and a wooden back panel, available in wooden or lacquered finishes. 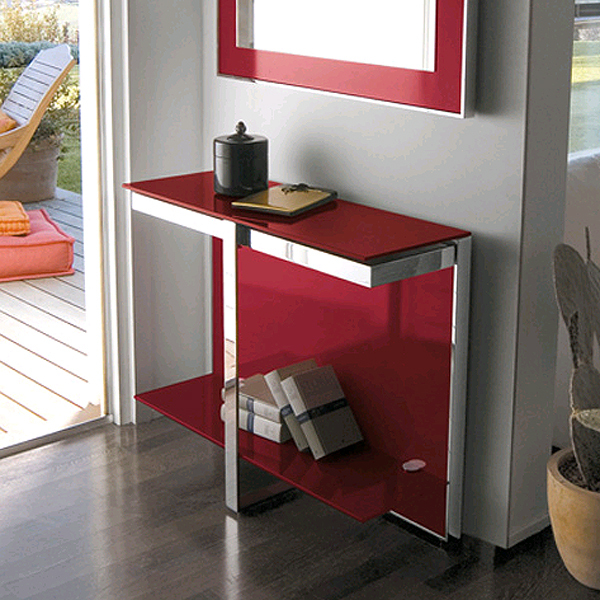 For all available color options see sample cards below.